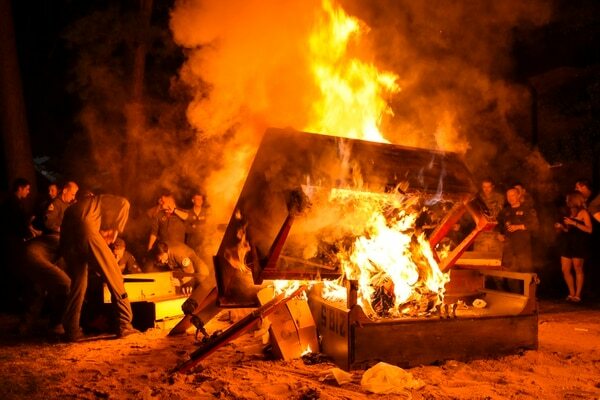 A January court ruling by a judge under the U.S. Department of Labor determined that open-air burn pits are connected to lung disease, according to the decision by the department’s Office of Administrative Law Judges. 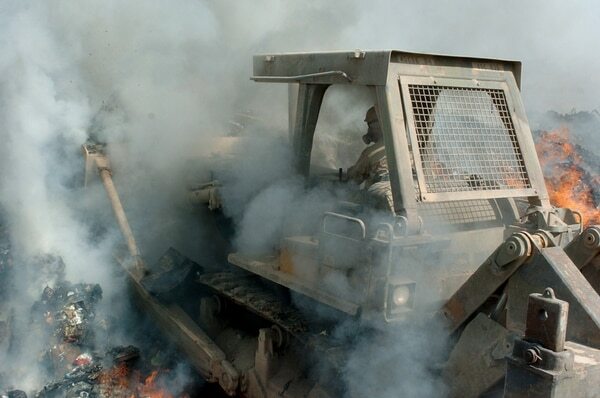 The burn pits — where chemicals were released into the air from trash, abandoned hardware, and other waste being incinerated — were used throughout U.S. military bases in Iraq and Afghanistan over the course of the wars there. The case stemmed from claims by Veronica Landry, who worked as a morale, welfare and recreation specialist at two forward operating bases in Mosul, Iraq. She was employed there from March 2004 until February 2005, according to the court. She was exposed to smoke from the burn pits “every day” while working there, according to her testimony. By August 2016, a medical doctor diagnosed Landry with “deployment-related bronchiolitis.” Furthermore, Landry credibly testified at the hearing that her lung disease had been shown by biopsy to be related to her exposure to the burn pits, according to the court. “The Employer has not produced substantial evidence to show Ms. Landry’s employment did not cause or contribute to her lung disease, so causation is established as a matter of law,” the judge wrote. Although the court determined she suffered from a mild case of lung disease, Landry was found to be “entitled to medical expenses for any treatment she shows is reasonable and necessary for her work-related conditions,” the judge added. 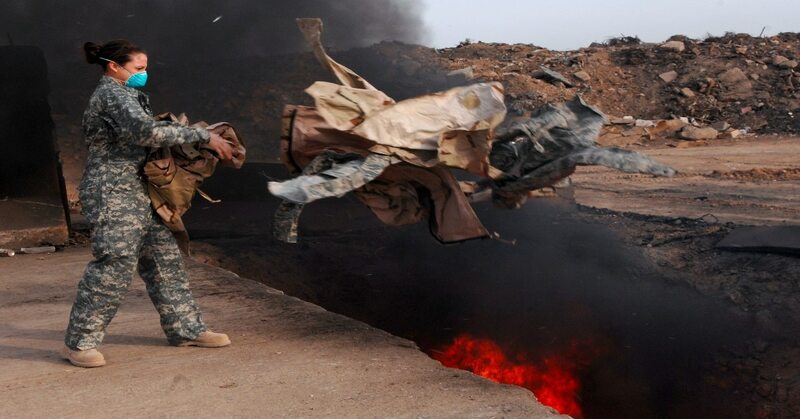 The ruling could be a boon for the tens of thousands of service members who signed onto the Veterans Affairs Department’s Burn Pit Registry over the course of the conflicts in the Middle East. The concession may pad the files of plaintiffs seeking medical services for the lung and respiratory ailments they suffered after returning from overseas, but currently are denied coverage by the VA. The ruling comes after years of veterans advocacy groups pleading for assistance. In October 2016, for instance, a group of 700 veterans and family members with the group Burn Pits 360 wrote an open letter to then-President Barack Obama to record their grievances. In January, former Vice President Joe Biden even voiced the belief that his son’s fatal brain cancer may have been caused by exposure to military burn pits while serving in Iraq and Kosovo. CASPER, Wyo. — Five Casper military veterans are seeking damages related to their service in Iraq. Although Biden conceded that he does not have any direct evidence linking his son’s death in 2015 to the toxic fires, he said “there is a lot of work to be done” investigating the issue given the high rates of illnesses seen in troops who worked near the waste pits.